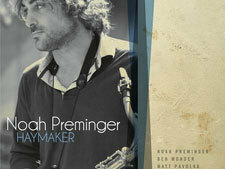 Noah Preminger’s worthy follow-up to his critically acclaimed 2011 album, Before the Rain, is richly rewarding stuff, but the young tenor saxophonist is backed this time by the three new sidemen rounding out his current quartet. 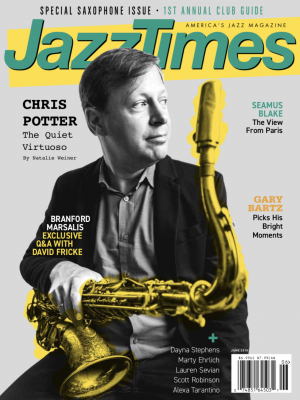 The big change is the switch from piano to guitar, with veteran Ben Monder’s stealthy sophistication bringing to mind Joe Lovano’s work with Bill Frisell or, going back further, Sonny Rollins’ with Jim Hall. Colin Stranahan keeps things fired up on drums, whether soloing or supporting the others, and Matt Pavolka sticks to anchoring everything on bass. Three covers are also highlights. Monder has recorded his “Animal Planet” with vocalist Theo Bleckmann before, and stretches out sublimely on it here. Dave Matthews’ “Don’t Drink the Water” couples an enticing groove with an interlude of raw, improvised power. “Tomorrow,” from Annie, receives an even more gratifying makeover. Preminger was reportedly inspired to take on “Tomorrow” by the combination of his teaching it to a 5-year-old pianist and his admiration for “the way Sonny Rollins would transform these overplayed, even hokey tunes and turn them into something hip.” If his goal was to do likewise, mission accomplished.